D30™ high performance shock absorbing foam. Additional D3O™ extension saves shins from pedal bite. 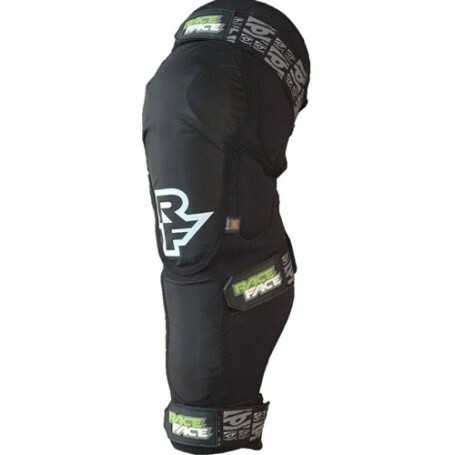 Integrated stabilization pad centers the knee and ensures ‘stay-put’ fit. Branded rubber grab tabs and RF moniker logo.